Our Tennessee genealogists are available to research on location. They will find and analyze the best records available to further your family history research. They can search the archives and libraries in Tennessee, as well as help you with other special requests. Our researchers are available to visit local archives and libraries to access unique record collections to help with your research. Below is a list of a few of the archives our Tennessee researchers have access to. Tennessee’s State Library and Archives are considered the best genealogical facility in the state. The archive holds hundreds of thousands of historical photographs, county records, genealogies, biographies, and records of Confederate soldiers. It also maintains a large collection of resources focusing on African American genealogy, including manuscript collections, microfilm collections, State Supreme Court Cases of east and middle Tennessee, and legislative petitions from 1799 to 1861. The East Tennessee Historical Society’s archives contain over 175 recorded stories that focus on genealogy and the history of the region. Published informational texts that focus on the history of the region include the titles First Families of Tennessee and Civil War Families of Tennessee. The original 15,000 applications for the First Families of Tennessee and their surnames are accessible to the public. The Knox County Public Library is also located in the East Tennessee Historical Building along with the historical society’s archives. This library is home to the Calvin M. McClung Historical Collections. This collection is one of the country’s leading databases of information on the East Tennessee region. Located here are more than 75,000 books, 3,000 genealogies, manuscripts, censuses, and state and local documents. Knoxville records here include city directories, maps, and photographs. The Germantown Regional History and Genealogy Center is the repository and headquarters for the Tennessee Genealogical Society and contains many of their archives. The collection focuses on gathering information from the Mid-South, Eastern, and Southern states. The center has over 440 microfilms of censuses, court records, and newspapers. Some of the specialized collections include records from Civil War histories and records from Daughters of the Revolution (DAR). Researchers can also find information on local southern Native American tribes here. Nashville marriages indexes from 1864 to 1905. Obituary indexes from “The Tennessean” dating from 1964 to the present day. Civil Rights collection that pertain to Nashville’s involvement in the Civil Rights Movement. Over 100 oral history interviews with participants in the movement. Photographs, documents, periodicals, ephemera, and records and manuscripts. The West Tennessee Heritage Study Center (WTHSC) is a public resource in part with the Univeristy of Tennesee at Martin. The center focuses on the genealogy and the social history, cultures, and family history of Tennessee and holds an extensive amount of primary sources. The microfilm section consists of local newspapers, regional county records, and federal censuses for Tennessee from 1780 to 1930. Books containing the history of Tennessee counties are also held here. The archives at the WTHSC contains survey records of North Carolina, Virginia, and Kentucky. 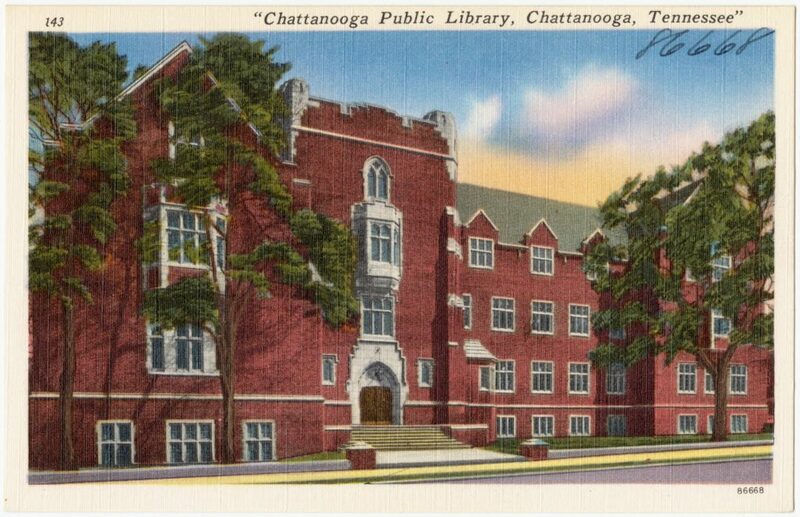 The Knoxville Hodges Library at the University of Tennessee contains manuscripts, biographies, family histories, as well as local and county histories. Researchers can find information from the local Native American population, especially information regarding the Cherokee people. Some of the more notable genealogical projects at this library include the Tennessee Newspaper Project. This project is part of the United States Newspaper Program which works to “locate, catalog, and preserve” newspaper records across the country. The program gathered information that dates back to the earliest colonial days of this country. The Metropolitan Government Archives are a division of the Nashville Public Library and focuses on historically valuable articles from the Metropolitan Nashville and Davidson County. The collection maintains 5 million articles dating from 1780 to the present and is growing larger. These include maps and plats, deeds and wills, marriage licenses and bonds, court minute books, newspapers, manuscripts, and recordings. Tennessee State University has a variety of articles in its Special Collections and Archives Department. These include biographies, ethnic studies, histories, and newspapers. The archive is also an excellent source of information on historical African American resources; it has a bibliography of the Afro-American Culture & History Conference. The Hermitage Museum is a historical plantation and museum located in Davidson County. The plantation was owned by Andrew Jackson in the 1800s. The museum owns about 300 items of Andrew Jackson’s letters and papers. Davidson County Clerk. The Davidson County Clerk provides vital records, including birth and marriage documents. Davidson County Clerk of the Circuit Court. The Davidson County Clerk of the Circuit Court has court records dating back to 1783. Their probate records date back to 1784. Davidson County Register of Deeds. The Davidson County Register of Deeds hold land records that date back to 1784. Special collections including rare books, manuscripts and photographs. Historical records of the university. Our Tennessee genealogists specialize in researching several types of documentation and are not limited to the list above. For more information or specific inquiries about our Tennessee genealogists, please feel free to contact us.